The one-day exhibition of works by patients of Day Clinic for Psychiatry MMA will be held on Friday, March 4, 2016, in the period from 10.00 to 20.00 hours in the great hall of Central Military Club (Brace Jugovic 19, Belgrade). 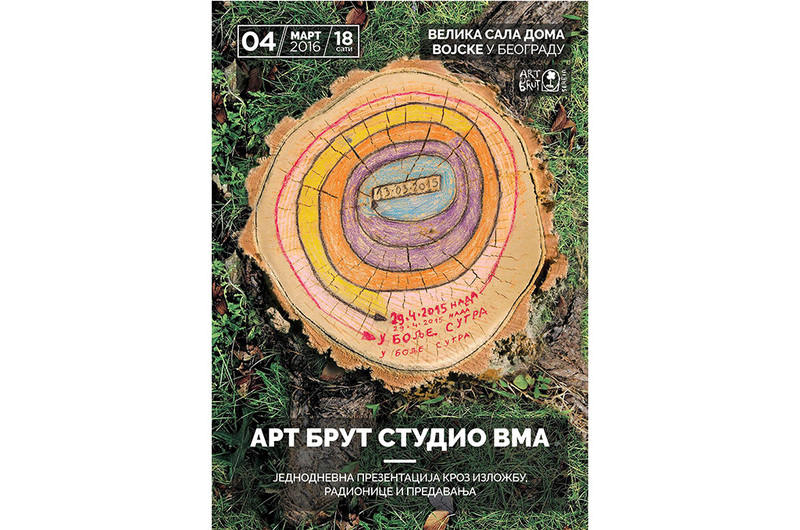 The event organized by the Association of Art Brut Serbia aims to integrate the art of specific social groups that have a different way of artistic expression. With affirmation art therapy the possibility of wider community to get acquainted with the works of artists originating from art-psychological workshops in the Day Hospital MMA is provided. The works were created following the tasks that conceived a graduate painter Goran Stojcetovic , for psychological analysis and supervision spec. clinical psychologist Tatjana Stojanović was responsible, and also other team members of MMA’s the Day Clinic for Psychiatry participated in the work.